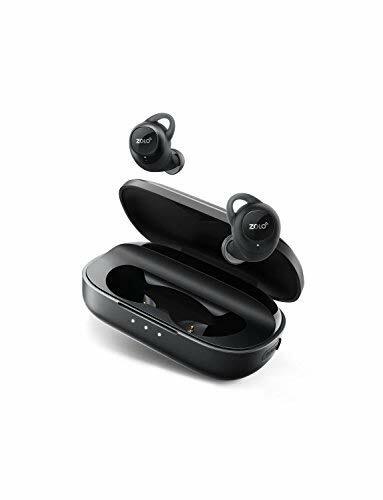 Zolo Liberty+ Total-Wireless Earphones!! Great Deal!! No Wires, No Limits: Flagship Total-Wireless Earphones with revolutionary graphene-enhanced sound, adjustable ambient sound levels, and extended battery life. Graphene-Enhanced Sound: Pioneering audio technology delivers jaw-dropping clarity and treble. A sound-tight seal generates deep bass with exceptional isolation. 48 Hours of Power: Get 3.5 hours of playtime from a single charge then boost that to 48 with the included charging case. Smarter Sound: PUSH AND GO™ ensures ultra-fast pairing between devices, while a tap activates toggles sound isolation. What You Get: Liberty+ Total-Wireless Earphones, Liberty+ Charging Case, 4 x GripFit Jackets, 3 x EarTips and Micro-USB Cable.